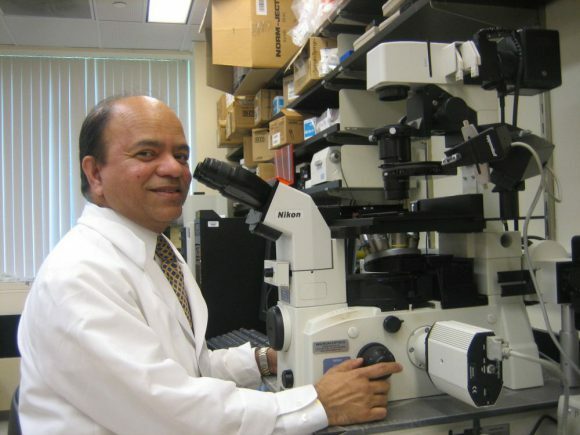 Share the post "Animal Study Suggests Alcohol Use Before Pregnancy May Increase Vulnerability of Offspring to Stress in Adulthood"
Dipak K. Sarkar, distinguished professor and director – Endocrine Program, Department of Animal Sciences. Women are strongly advised to abstain from alcohol during pregnancy, and for good reason. A recent study, funded by the National Institute on Alcohol Abuse and Alcoholism, however, shows that alcohol use even before conception also could have negative effects on the offspring’s health and response to stress during adulthood. 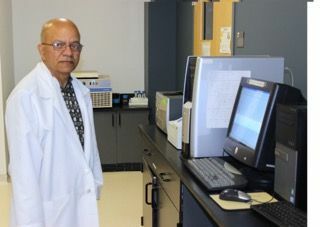 The research team was led by Dipak Sarkar, distinguished professor in the Department of Animal Sciences, and director of the endocrinology program at SEBS and the biomedical division of the Rutgers Center of Alcohol Studies. The study concluded that adult offspring of female rats that were exposed to high levels of alcohol for a month, then bred three weeks later, had increased levels of stress hormone in their blood. Previous research determined that certain chemical modifications that can occur in a parent’s DNA, which may affect anxiety-linked behaviors, can be passed down to children. Read more about this latest research by Dipak Sarkar and his team.